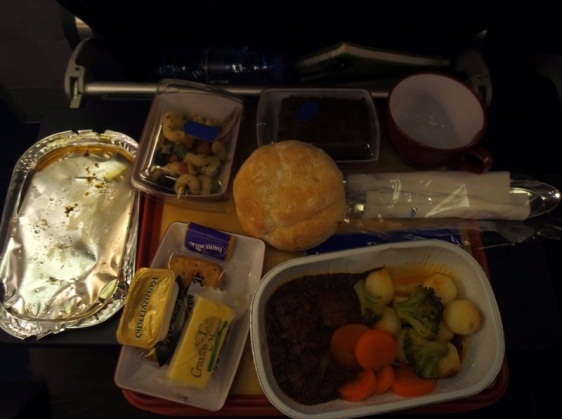 When I got on the South African Airways plane at Heathrow to fly to Johannesburg I was very excited. I sat next to my brother and I could look out of the window. On the back of the seat in front of me was a screen and I could see how far we had to travel. I had earphones and could watch the plane from a camera on the tail fin and it was the best take off ever. The stewards brought us our dinner and we had a choice. I chose the lamb. It was very tasty and I visited the kitchen to see how they make it. The steward said they heat it dry or with steam. They also recycle lots of things including the foil lid and cup. They are a good airline for recycling. There were lots of dishes including a dessert and the cheese and biscuits were very good. I ate everything apart from the roll which I gave to dad. It was hard to sleep on the plane because the people behind us had their lights on all through the night. I managed to sleep a wee bit but I was very tired. We woke up early and had breakfast before landing at Johannesburg. Great to hear from you again Veg! Been missing you and wondering about your fabulous adventure! Nice to see you back on the blog! How long did it take from Heathrow to Johannesburg? Ten, eleven hours? 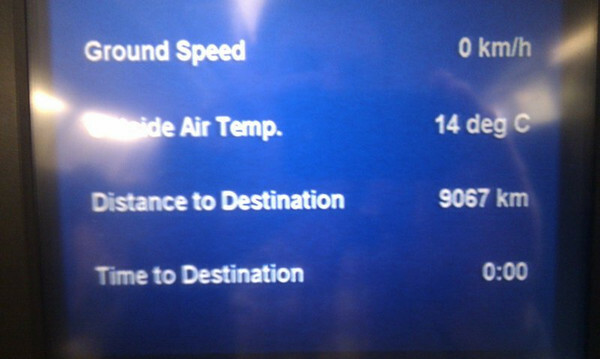 I couldn't imagine being on a plane for that long. I look forward to hearing about the rest of your trip! I have read a little at a couple of UK papers but not much. thanks Veg, it's good to hear from you again. So much excitement for one so young..